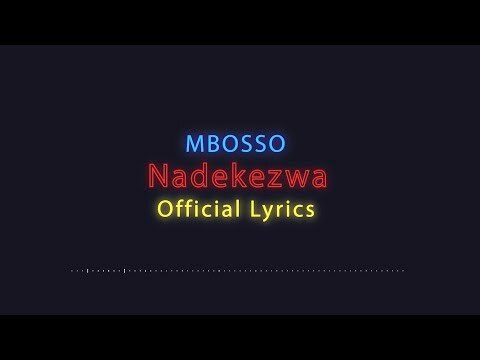 WCB Wasafi act, Mbosso, continues on his roll of stunning releases as he comes through with yet another sensational song titled “Nadekezwa”., thus adding to his already blooming collection of successful records. 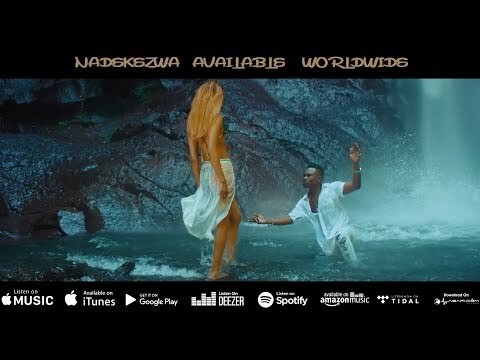 After the amazing stunt he pulled with the widely accepted “Watakubali”, which was swiftly followed by “Alelee”, Mbosso proves once more that he still packs the world of content up his sleeves and stash as he flaunts his golden vocals again on “Nadekezwa”. And, he brings his famous exciting twist and angle to this love-inspired offering to top the previous works he had dished out. No wonder, then that the WCB Records boss, Diamond Platnumz, could be seen on a YouTube video singing along to the melodious song with a wide smile plastered inn his face. Of course, the song is worth every attention it is getting as it is just another display of the capabilities of the “Picha Yake” hit maker who is set to blow up the industry if he keeps up dazzling us with songs like this. You can get right into the melodious and harmonious offering that “Nadekezwa” is. Simply stream and download below. And as always, don’t forget to share your thoughts with us in the comment section below.